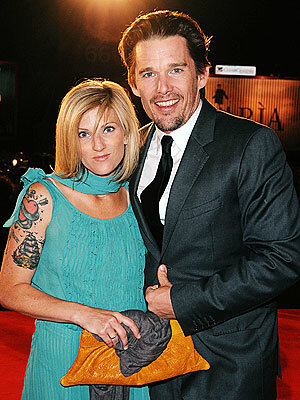 Ethan Hawke and his wife, Ryan Hawke, have announced they are expecting their second baby. The couple have a daughter, Clementine Jane, born in 2008. Hawke also has two children with ex-wife, Uma Thurman. Somewhat ironically, Hawke's current wife used to be the nanny for his children, Maya, now 12, and Levon, 9, with Thurman.